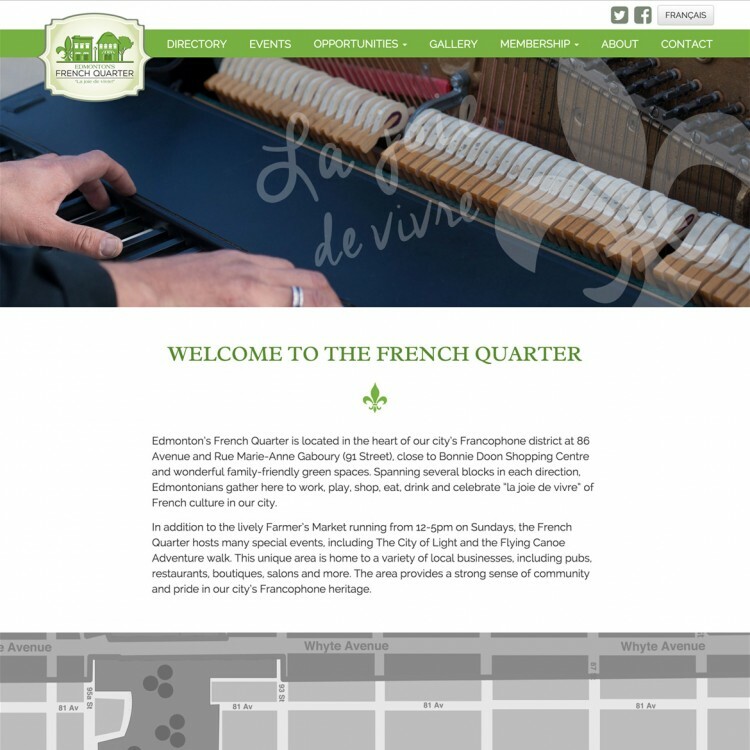 Edmonton’s French Quarter Business Association aims to create a walkable, trendy district to promote the local businesses and services who are part of Edmonton’s French Quarter neighbourhood while continuing to cultivate this area as a preferred destination to live, shop, work and play. Objectives for the project included increasing ease of use for the website admin and improving the process for members of the business association to submit their events, opportunities and promotions to the site. Transition an existing website with a proprietary and somewhat limiting custom CMS to WordPress. Create a custom WordPress theme with mobile-responsive capabilities, including custom theme options available from WordPress Admin. Implement WordPress Multilingual, a plugin to facilitate bilingual or multilingual websites to present content and also some aspects of architecture in both English and French. Implement a combination of plugins to facilitate user submissions of events, opportunities, promotions and directory listings through the website.